The 23rd of April is approaching, which means that the chances to apply for a Summer University are getting smaller. This year there are 81 SUs, organised by 115 locals with a total of 2286 free spots all around Europe. As this article is being written, the favourite SUs will take place in Greece, Italy and Germany, but the situation is changing every day. The AEGEEan had a pleasant talk with Francesca Russo (AEGEE-Padova), project manager of the Summer University Coordination Team (SUCT). The AEGEEan: Notoriously AEGEEans are not early birds and they often wait for the very last minute to submit their applications. How would you encourage them to apply on time? FRANCESCA: Future participants need to understand we are speaking about 4000 applications per year and there are limited places, even if we count open calls. Plus, a lot of people apply at the very last minute, so the risk of having technical problems is quite high. Do you really want to lose the opportunity to spend the most amazing summer of your life? As you know, the system uses an algorithm to place you in case you have given up two or more choices. This means that the sooner you apply, the more chances you have to be placed in your “favourite choice”. And after all you can always edit your application untill the 23rd of april. The AEGEEan: In the past, sometimes it happened that locals didn’t have enough participants and were forced to cancel the Summer University and with that all the work of months. Is there any way to avoid this blight? FRANCESCA: It’s pretty unlikely that such things happened and thanks to the Open Call participants are redistributed. To increase the number of applicants, I suggest a good promotion campaign using a Facebook page, videos, recent updates and shares. Plus often it is decided to delete an event due to financial problems or HR rather than by the number of participants. Sometimes the problem is the costs of transportation to the destination. If you can manage with a good FR campaign, you can try to encourage the participants to contribute with a certain percentage to the journey. 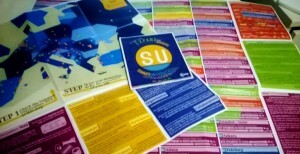 The AEGEEan: Last year, the former SUCT chose a map over the booklet. What about this year? FRANCESCA: This year we have maps, too. Maps have all the destinations and all the information about AEGEE explained in a clear and catchy way. They are an excellent way to promote the association and recruit new members. Most of them were given in the EBM and, for those who requested, were delivered by mail. If you need more, you can always go to our website and download maps and flyers. The AEGEEan: Everybody can see the restyling done to the website. What did you change? FRANCESCA: The core of the website is the same, but Andrea Nostro from AEGEE-Reggio Calabria made it faster and more dynamic. New functions were released and now you can see it on tablet and smartphones. All the graphics follow the new visual identity. The AEGEEan: One of the major points was the Summer Universities available to disabled people. How many locals adopted this philosophy? FRANCESCA: So far we have eight who will host people with different types of disabilities. Moreover, everyone can apply for all the SUs. If the applicant is disabled, the organisers will be notified and they will decide if they are able to handle the disability. The AEGEEan: Did you change the application procedure? If yes, why? FRANCESCA: Not so much. Actually we have only one major change: it won’t be possible to see the name of the applicant untill their approval. We are trying this system to invite organisers to focus more on motivation letters, and not on the facebook profile of participants. The AEGEEan: Right now you, the SUCT members and Kathrin Renner (appointed CD member) have been working together for six months already. 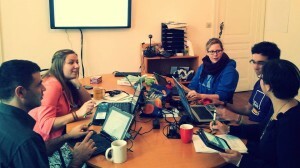 What do you think is the key factor of this cooperation between SUCT members? 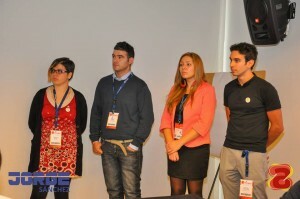 FRANCESCA: The passion for AEGEE that we share. We are very motivated and active on a local level, so we devote all our time to have brilliant SUs. 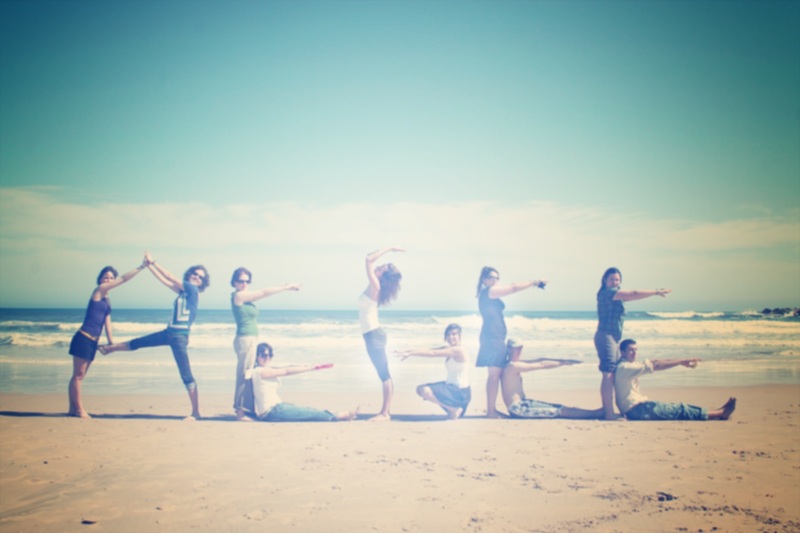 We are all very competent in our field of action and we instantly understand each other. The AEGEEan: Anything to add? ← The AEGEEan’s Choice Awards – Adding the ‘Thematics’ To Events!